A workshop to be held at Nimbin Town Hall on Friday, 1 June will introduce landholders to the idea of fire for biodiversity and how to integrate the needs of native plants and animals with future plans for fire. Hosted by the Northern Rivers Fire and Biodiversity Consortium in partnership with Lismore City Council, the workshop is designed to improve understanding of fire management so people can make informed choices about how they apply fire to their property. “It’s about empowering people with knowledge to make safe, ecologically-appropriate and sustainable decisions,” Council’s Environmental Strategies Officer Wendy Neilan said. The workshop features presentations from local experts including rainforest botanist Rob Kooyman, fire ecologist Andy Baker, and fauna expert Dave Milledge. Topics include forest types, appropriate fire regimes, plant and animal responses to fire, and decisions around where fire is excluded. The NSW Rural Fire Service will be attending to speak on bushfire risk and community protection and property fire planning as well as approvals, permits and RFS support. “While the workshop’s focus is on fire and habitat, protection of life and property and community safety are an important part of the equation,” Wendy said. “Protecting the environment and your home, lifestyle and agricultural productivity are not mutually exclusive decisions. The program will also cover cultural burning methods, how that approach can be applied to help recover habitat and threatened species, and the importance of cultural burning as a way for Aboriginal people to strengthen connections with country and regain knowledge. The workshop concludes with a short question and answer session following a small group discussion time after lunch. “This means that workshop participants will have a chance to ask all those remaining burning questions by the time we finish,” Wendy said. The Fire for Healthy Habitats and Safe Communities workshop is at Nimbin Town Hall on Friday, 1 June from 10am to 2.30pm. Entry is free and a light lunch is provided. Registrations are essential. Phone 1300 87 83 87 or visit www.nimbinfireworkshop.eventbrite.com.au. Landscape fire in our region has declined dramatically in recent decades, leading to the widespread decline of our globally important eucalypt forests. Andy’s presentation will draw on the latest research from our region and around the world to outline this emerging threat to our open-forest biodiversity. 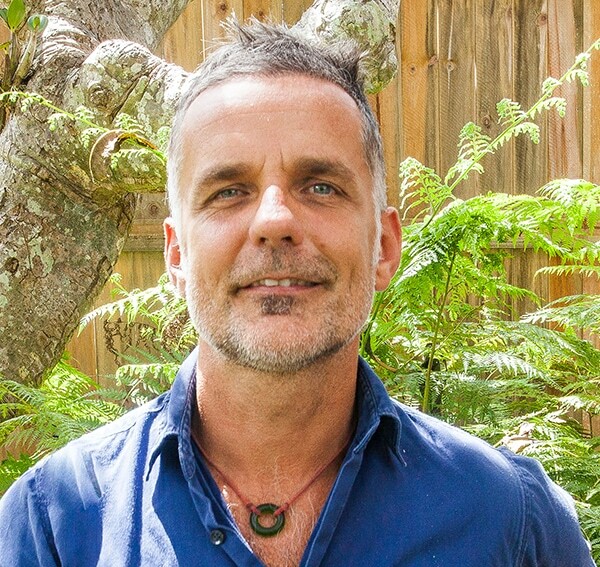 Andy is a vegetation and fire ecologist with 25 years’ experience in the management and restoration of rainforest and fire-dependent ecosystems in the Northern Rivers. Currently a fire ecology lecturer with Southern Cross University, Andy has been an ecological consultant to local, state and federal governments for over 20 years. Over the past six years the Firesticks fauna monitoring project has been examining the effects of applying Indigenous cultural burning methods to vegetation communities across north eastern NSW. Dave will share the responses of target bird and mammal species and their ecological requirements in relation to fire. David Milledge is a consultant wildlife ecologist with almost 50 years of professional field experience in eastern Australia. The cultural values and practices that manifest as cultural fire are underpinned by intent and knowledge to care for country. Oli will share insights on fire, why we burn and the cultural pathways to fire. Oliver Costello is from Bundjalung Country and co-founded both the Firesticks and Jagun Alliance. Firesticks and the Jagun Alliance provide leadership, advocacy and action to protect, conserve and enhance cultural and natural values of people and country through cultural fire and land management practices. Rob will talk about the history of Australian vegetation including the ancestry, origins and ecology of relationships between rainforest and other forest types. The focus will be on the interaction of rainforest types with the wet and drier heaths and eucalypt forests, and the brush box ‘mixed’ forest of northern NSW. Robert Kooyman is a rainforest botanist and ecologist. His background is in forest science and management. With interests in evolutionary ecology, biogeography, palaeobotany, and community and functional (trait) ecology, Rob has worked in rainforests around the world. Jamie and Ian Cook from the RFS Planning and Environmental Services unit will introduce workshop participants to bushfire risk management planning, community protection planning and property fire management planning along with information about the Bush Fire Environmental Assessment Code and Fire Permits, the approvals process and available brigade and district support. Jamie has been a member of the NSW Rural Fire Service with 30 years’ experience as a volunteer and staff member. His portfolio includes bushfire management, emergency management, bushfire hazard management and community engagement. Jamie has been deployed nationwide within Incident Management Teams working on some of the nation’s largest complex bushfires. Image: Guest speaker Andy Baker.